St Wilfrid’s church at Kirkharle is just off the main A696 – NZ012826. The courtyard has a variety of shops and a café. They have a website, but why, on the weekend of the second May bank holiday, is it still wishing us “a very Happy Easter break”? We avoided the shops and drove up the lane to the church. 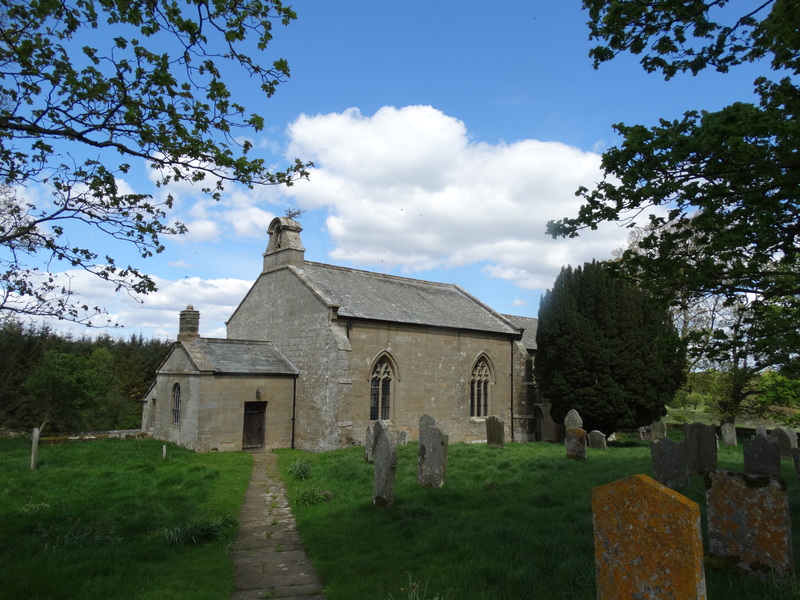 The present church was consecrated in the 14th century. 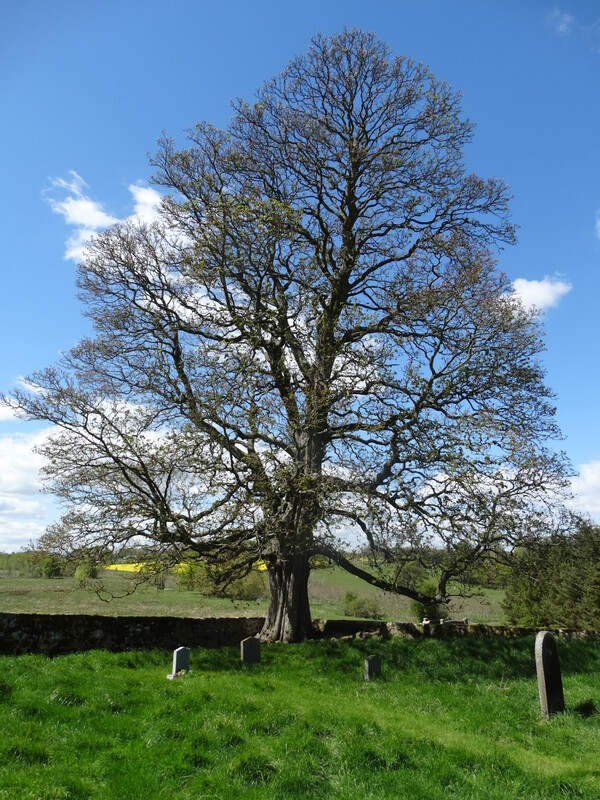 It was one of three in the north east to have been run by the Premonstratensian monks of Blanchland Abbey (the others were at Heddon and Bywell). 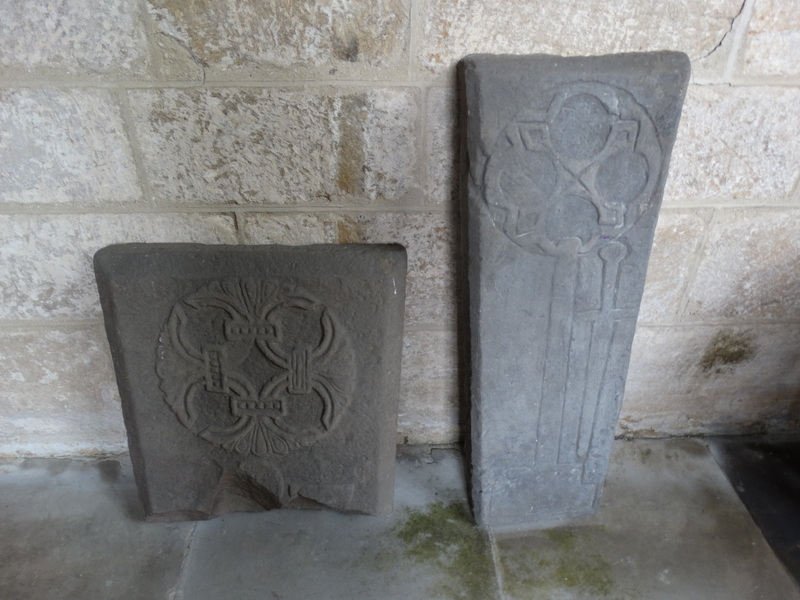 They probably continued to do this until 1539, when Blanchland Abbey was dissolved. 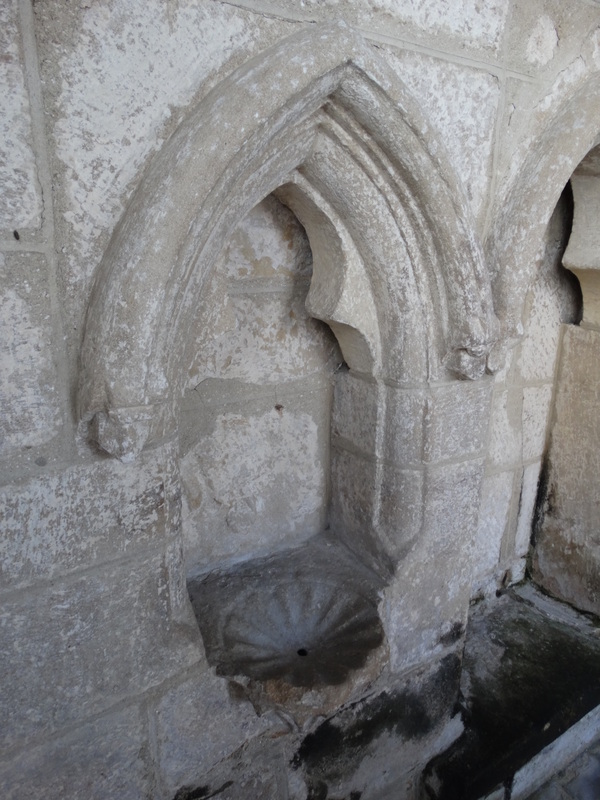 In 1336 two chantries with piscina (stone basin) and aumbreys (recessed cupboards) on either side of the nave were founded by Sir William de Herle. 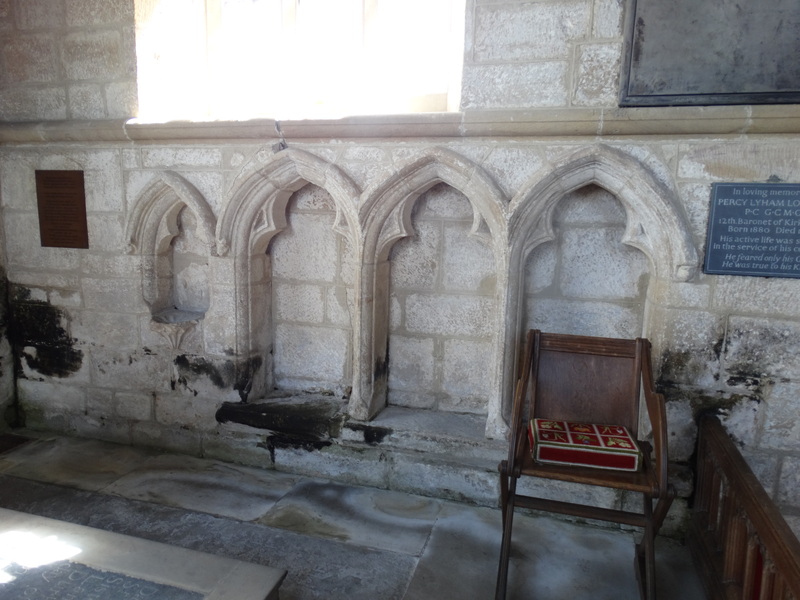 Here is a three seated medieval sedilia in the south wall of the chancel, and a piscina with a projecting basin. 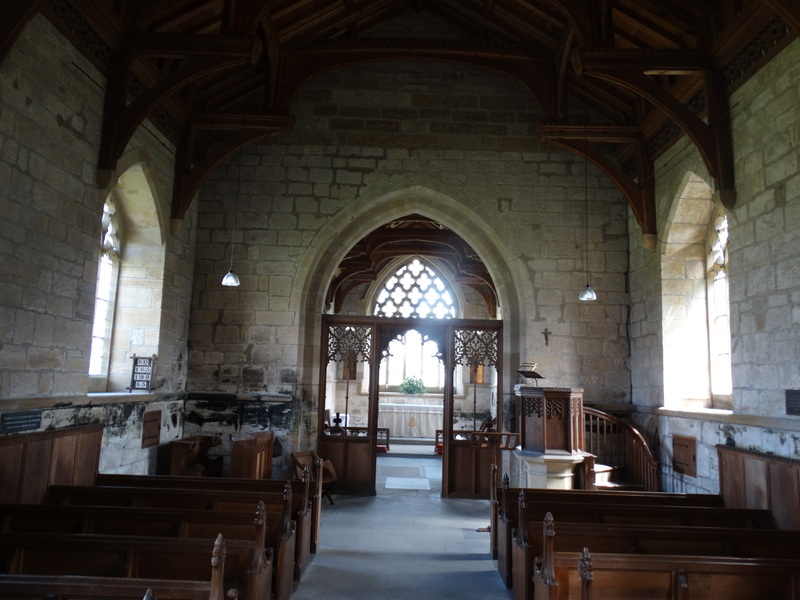 By the 15th century it had fallen into disrepair, and was restored by the daughters of the owner of Kirkharle, William Del Strother (when I read the guide leaflet I thought his middle name was Dai – that would have been wonderful). 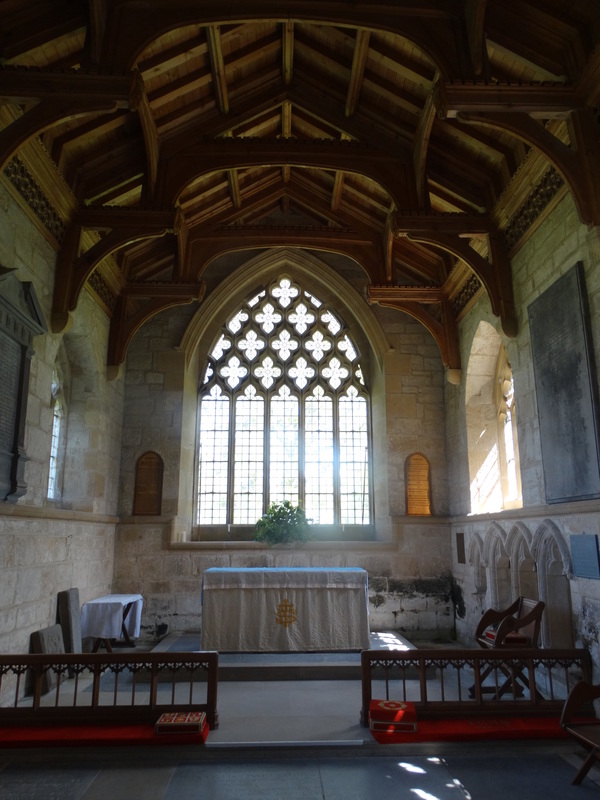 300 years later a new roof was added, the floor was laid, and the bell turret and porch were rebuilt. Some nice lumps of stone too! 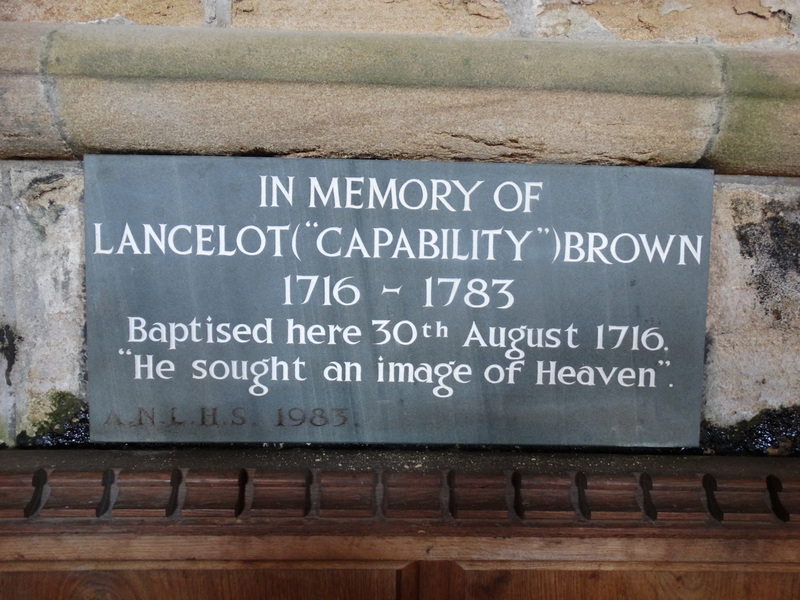 The most famous person with a link to Kirkharle is Lancelot (Capability) Brown – there is lots of wonderful details about him here – he also has his own wordpress blog post. 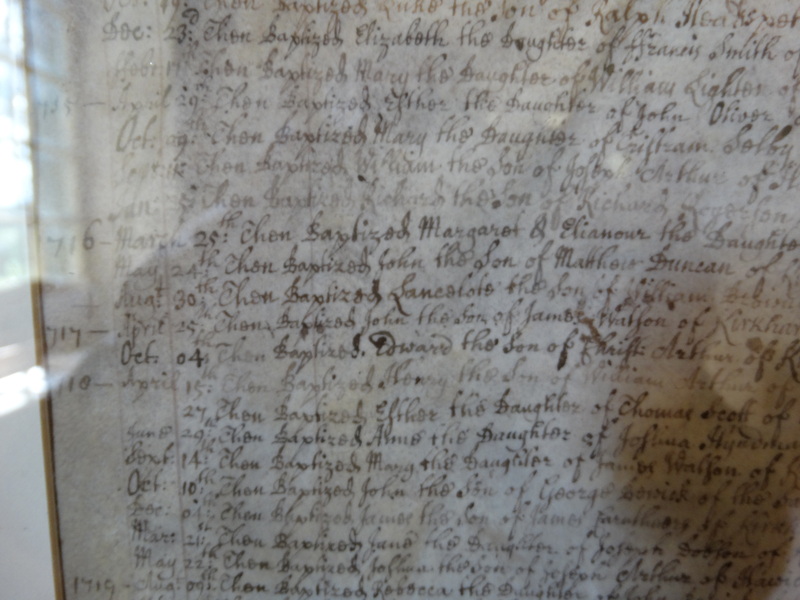 In the porch they have a copy of his baptism register, the last entry of 1716 – so that implies there is a big anniversary coming up. 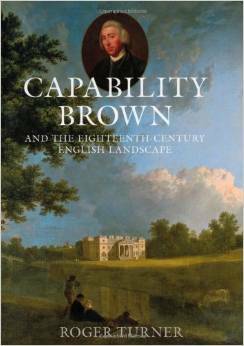 There is as an excellent book about him by Roger Turner, “Capability Brown and the Eighteenth-Century Landscape” – we heard him speak at the Hexham Book Festival earlier this month. 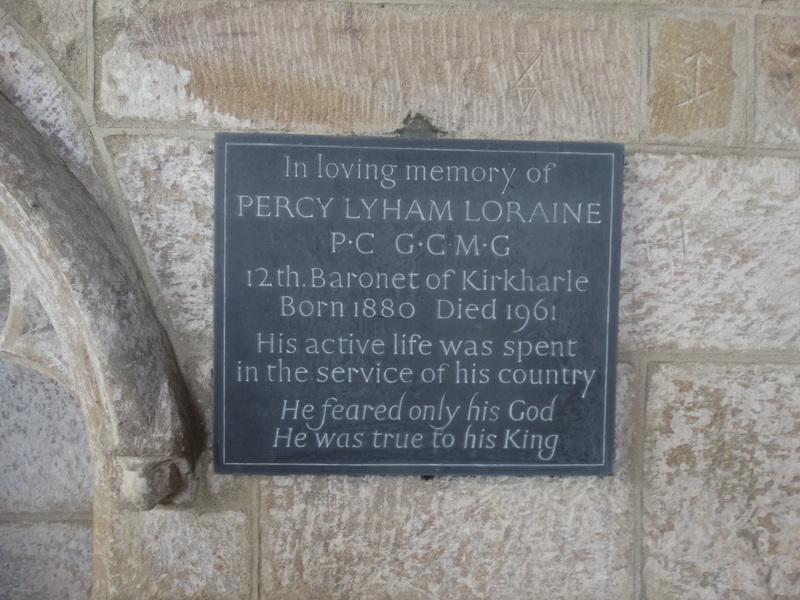 I also liked this plaque, to Percy Lyham Loraine who was educated at Eton and New College Oxford, fought in the Boer War, then joined the diplomatic service. He served in Rome, Beijing, Paris, Madrid, Tehran, Athens, was High Commission for Egypt and the Sudan, then served in Ankara, and was the last British ambassador to Italy before the start of WW2. It does make you wonder how well you can get to know a country when you keep moving. He was also instrumental in introducing the photo-finish to horse racing. 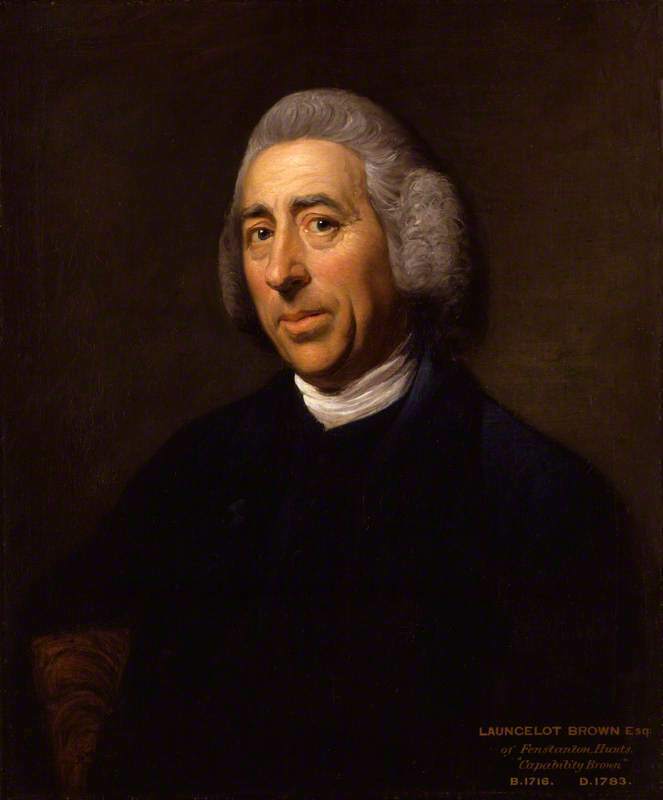 Sir Percy was appointed a Privy Counsellor in 1933, a CMG in 1921, KCMG in 1925 and GCMG in 1937 – what do they say “Call Me God”, “Kindly Call Me God”, and “God Calls Me God” … it is a wonderful world! It is a lovely spot, but it is only used for one service a month. They are talking about an improved heating system, but can that really be justified for a building used so rarely. 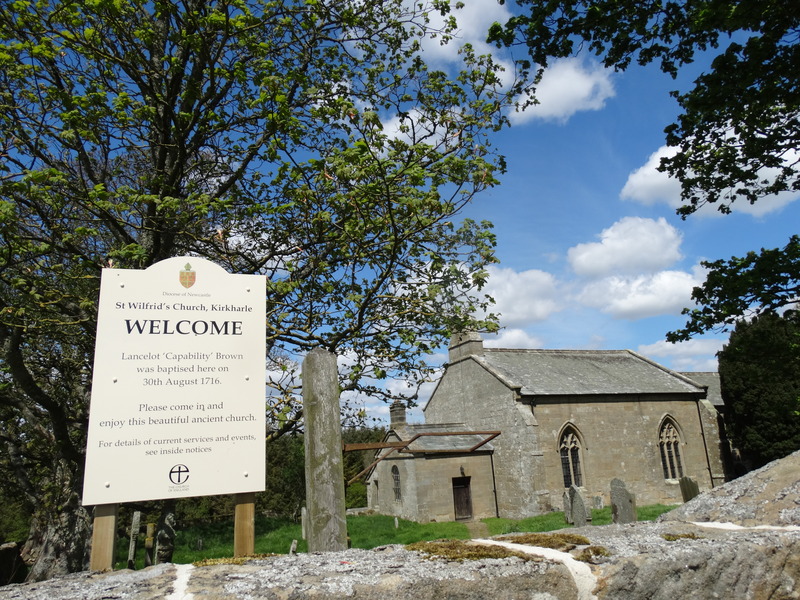 How can we get the tourism and the visitors going to the shops up to the church – and get them thinking about more than shopping?